HIV/AIDS is a catastrophe that is affecting the lives of millions of innocent children across the globe. India has the second largest number of people in the world living with HIV/AIDs/ after South Africa; 5.2 million people in India are living with HIV/AIDS representing one eighth off all infections in the world. An estimated 202,000 children in India are infected with HIV. 50 percent of new infections in India are in people between 15 and 24 years old. Protecting children, adolescents and young adults from HIV/AIDS remains an urgent priority. 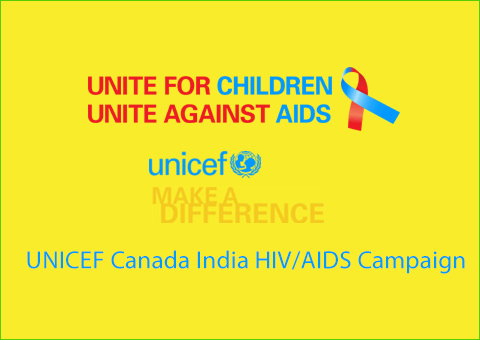 UNICEF Canada seeks to raise a minimum of $3 million for India HIV/AIDS projects over the next 24 months, as part of its $25 million Unite for Children, Unite Against AIDS Campaign. Financial commitments from individuals, corporations, foundations and organizations will fund these activities in one or two states of India. As a starting point we have agreed to have a minimum contribution of $ 25,000 from Campaign Board member or from their organization in order to send a positive message of commitment to other prospective donors. I am pleased to inform of my initial commitment of $ 25,000 for this campaign. HIV/AIDS is the most far-reaching and damaging epidemic the world has ever seen. Within a single generation, it has grown into an individual and societal tragedy with huge implications for human security, for social and political stability and for economic development. Originally viewed as just another disease, HIV/AIDS has long since moved beyond the boundaries of the health system. Curtailing the HIV/AIDS pandemic requires the involvement of the entire world.